Where to start? So many people have contributed something to the Vault forum, and then there are the silent ones who avoid the board like the plague (good judges) but still do their bit to boost morale. The founders and top posters are up top of this list, after which it’s a free for all, so no squabbling! 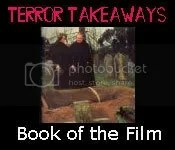 Franklin Marsh, Ripper, Killercrab, Charles Black, Steve Goodwin, Nightreader, Severance, Victoria , jerrylad, Calenture, cav, David A. Riley, Bob Rothwell, Andy Boot, Mark Samuels, Brad Stevens, Robert E. Lory, Chrissie Demant, Monkey The Magnificent, John L. Probert, Monker, Michel Parry, Bushwick, intruder2k, Justin Marriott, Funkdooby, Illustrated Man, Alwyn Turner, Blackmonk, Andreas Decker, Derek & Emma & “all” at Wordsworth Editions, DF Lewis, Red Brain, All Things Horror, Craig Herbertson, Corpse Candle, Lurker In The Shadows, Curt Purcell, Holger Hasse, Sean Parker, Caroline Callaghan, Baron V, Don Glut, Jack Shackleford (and Thing), Sydney J. Bounds (R.I.P. ), Hugh Lamb, Mike Ashley, Gary Fry, James Doig, Shaun Jeffrey, Omelius Fredlowski, Peter C., Lynnielynn, skiprat101, paramanjara, Hubert, Colin, Daisy, Paisley Cravat, Allyson Bird, Olivaro, Prelati, Oatcake, John Kenneth Dunham, Hector Plasm, Troo, David A. Sutton, Art Long jr., Stavner, paisleycravat, Coral, digdog, Grey Wyler, albie, John Pelan, Burl Veneer, Ligeia …. and still it grows ? If I left anybody off who should be on there than please forgive! And thanks to the new friends I’ve made via WordPress, notably Chris Fowler, Christine, Alan Frackelton and Marijke van Duyn! 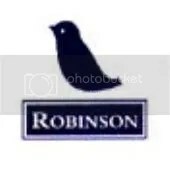 Grateful thanks to Sam Evans & George at Robinsons! No problem, Simon! i’m not the only Vault person who’s made use of your excellent service in the past!